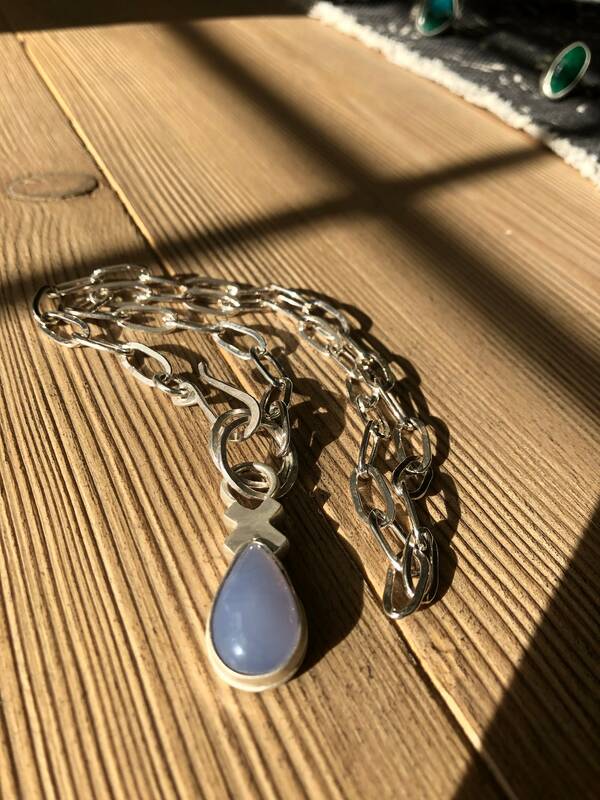 This necklace has a beautiful Teardrop shape Blue Chalcedony stone pendant with a Sterling Silver "X"! 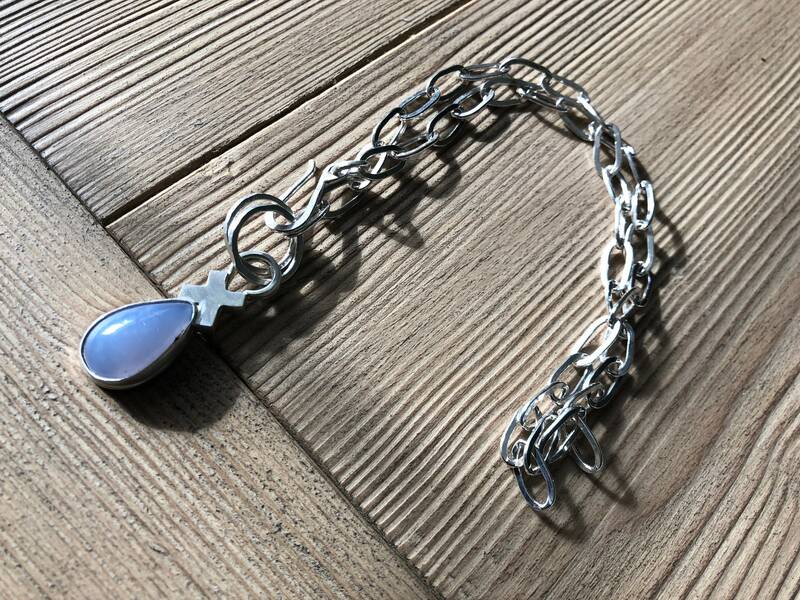 The Sterling Silver Chain is 18" long, with a handmade clasp. The Pendant length is 1- 1/2 inches! 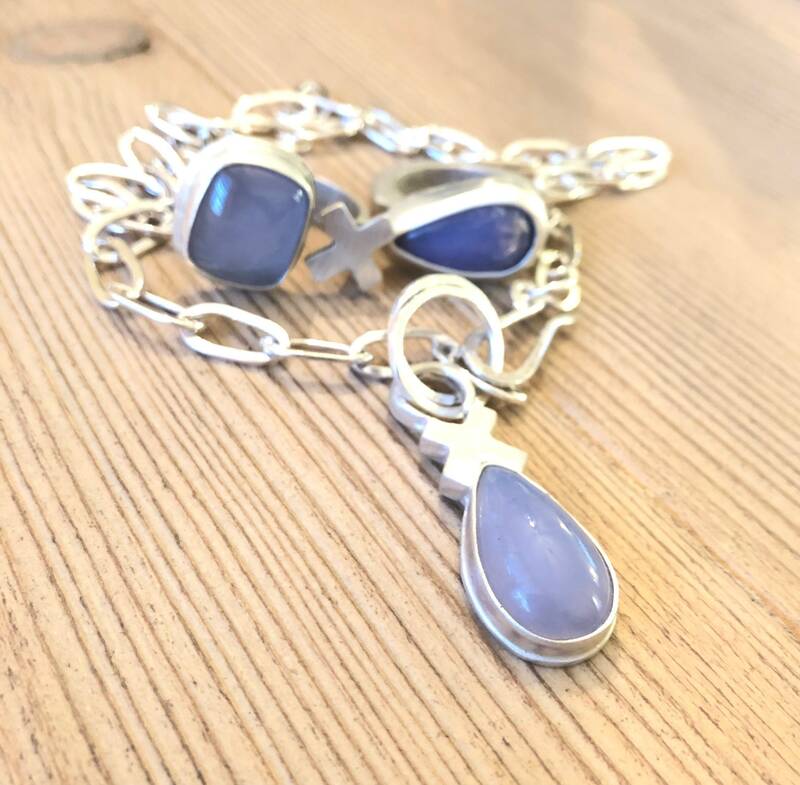 Pairs perfectly with the Luna Blue Ring #2! I accept all major credit cards, and Etsy Gift Cards. I will try and get items shipped in 1 to 2 business days. At this time I am not taking any more custom orders.